The natural lake is fun for the whole family. It is free of chlorine and chemical additives. The plants in the lake keep it clean in a natural way. That's why this lake is very much suitable for guests with allergies or sensitive skin. 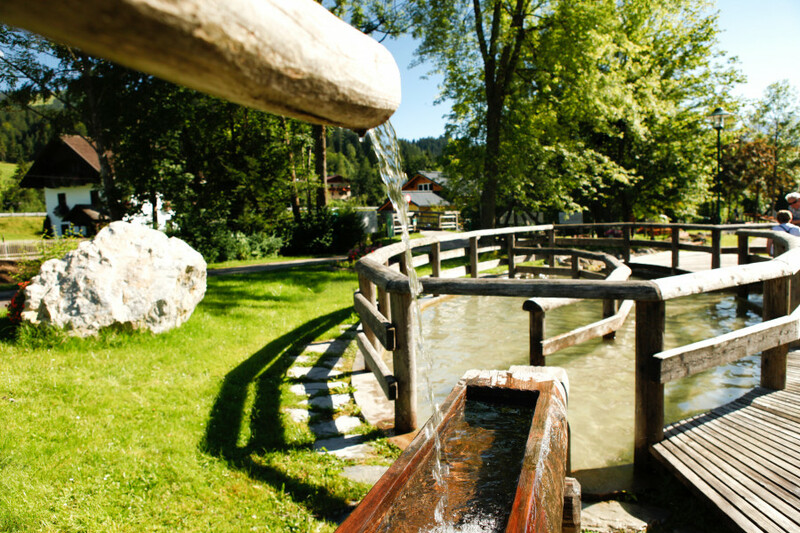 The natural pool has a waterfall to offer and a Kneipp hydrotherapy resort, in addition. 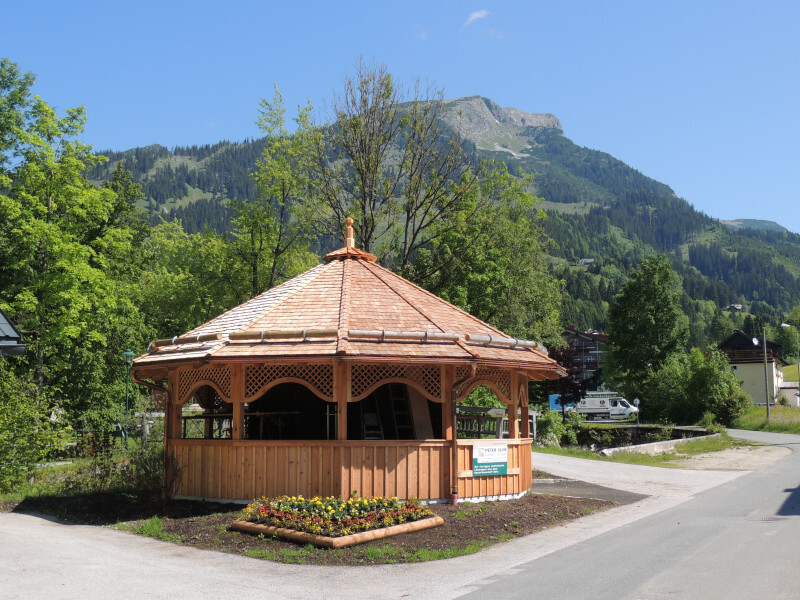 The “Seestüberl”, the local inn at the lake, will provide the guests with food and drinks of their choice. The water adventure leisure park is open from May to September, daily from 9am till 8pm. 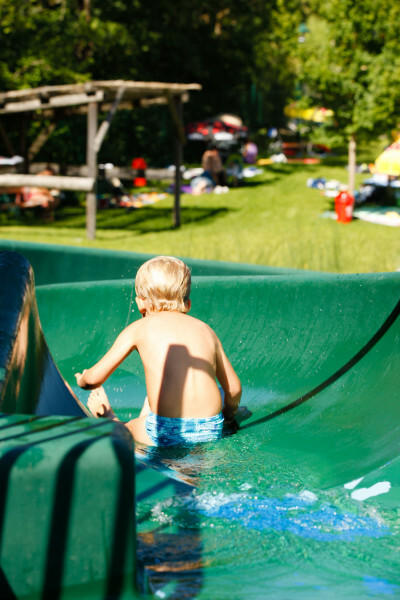 For children, the water park is a paradise to spend a fantastic day in as it offers a little stream, a water slide, and as a special highlight, a stretch for canoeing. There are several additional places to jump from. 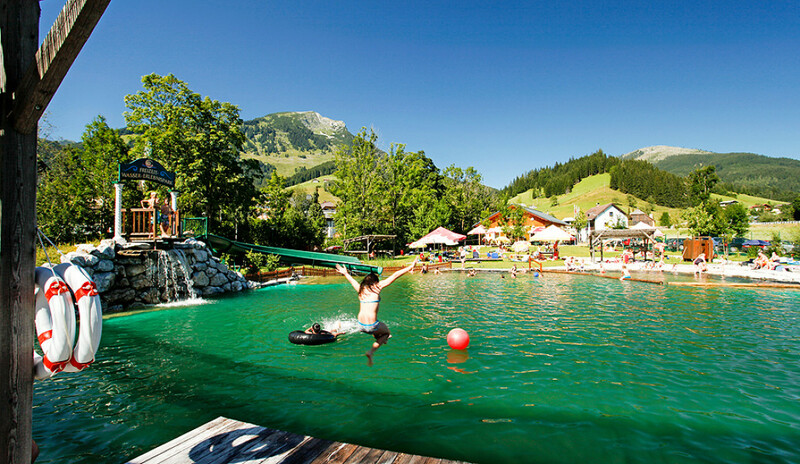 The water park is a starting point for numerous hiking paths leading through the beautiful surroundings of the lake. Russbach is located in the Salzburger Land region at the pass Gschütt. Coming from Vienna or Munich, it's best to drive to the junction Salzburg and from here continue on the Tauernautobahn A10 in the direction of Villach until you take the exit at Golling-Abtenau. Coming from Villach/Graz, one can use the Tauernautobahn A10 and exit at Golling-Abtenau. Then, following the federal highway Lammertaler Bundestraße B162 towards Abtenau, one will drive through Abtenau to reach Russbach. You can get here by train using the railway service provided by the ÖBB (Österreichische Bundesbahnen – Federal Austrian Railways). You can get off at the train station Golling/Abtenau and then continue by bus using the line 470 in the direction of Gosau via Abtenau to Russbach.